1. Subscribe to AurumEve on AurumEve.com CLICK HERE!!! 2. 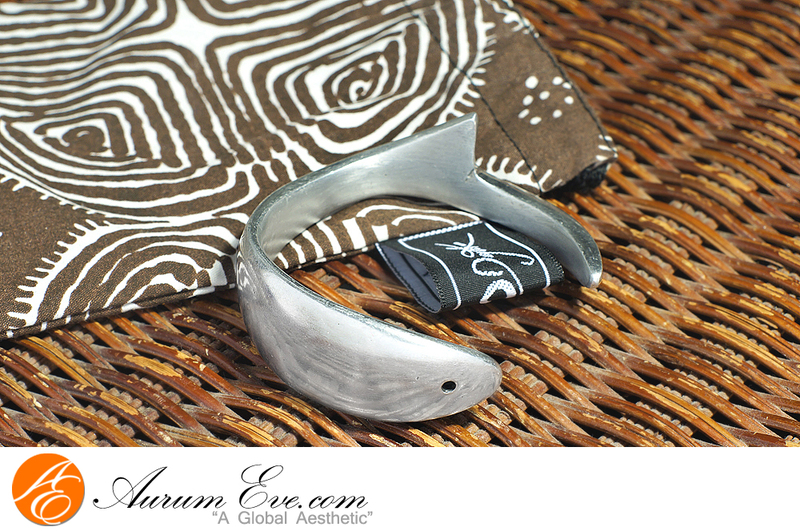 Comment on your favorite Adèle Dejak piece featured on her AurumEve.com post CLICK HERE!!! No two recycled aluminum Ro-Samaki Bracelets are alike: handmade by Adèle’s fantastic team of over 25 artisans for which she provides fair wages and opportunity as well as a spot to work with one of the top designers and innovators throughout the continent and beyond. This piece is a favorite; a truly unique and modest statement piece that can be dressed down or up, as a loose bracelet or even as an arm cuff. Very intriguing piece with great weight, unique design, and beautiful shine and brilliance. Adèle Dejak‘s collections highlight and promote the creativity inherent with African ornament: Congolese Kuba, Kitenge, Asoke, local leather, recycled materials, rice and cement sacks, brass, aluminium, horn, ebony and glass. Adèle Dejak, was also honoured as one of the design companies for Design Network Africa, to ‘establish authentic interaction between 28 outstanding design companies throughout the African continent, who produce beautiful, contemporary work’. Big thanks to Adèle and Morine! 4 Comments on AurumEve’s INTERNATIONAL Adèle Dejak Giveaway through December 31st; 11 Days Left! Lovely post. Just stumbled onto your blog- great stuff. I love Adeles work! Lovely. Happy holidays. Xoxo fm Kenya!